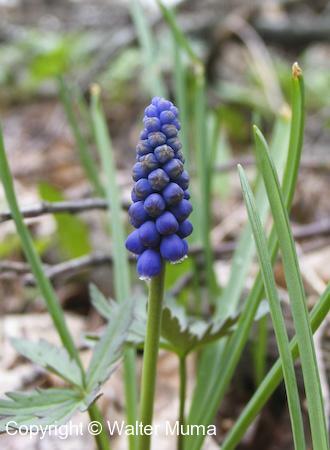 Notes: Commonly found in gardens, Grape Hyacinth sometimes escapes into the wild. Photographs: 38 photographs available, of which 5 are featured on this page. SCROLL DOWN FOR PHOTOGRAPHS. 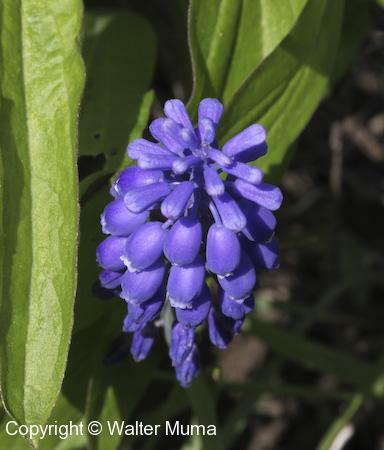 It's easy to see where this plant gets its common name of Grape Hyacinth. A closer view of the flowers. a nice group of Grape Hyacinth plants.